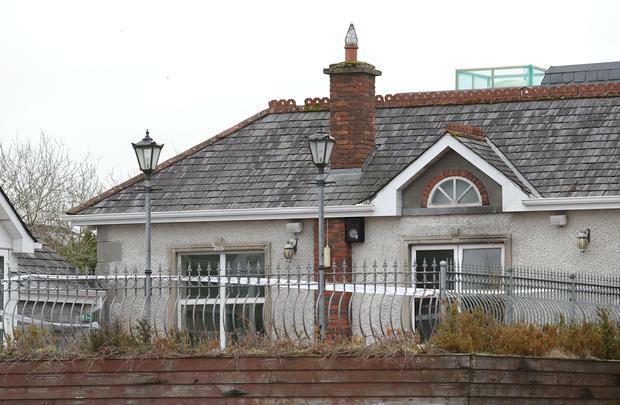 Probe: Garda forensic officers outside the Shannon Key West Hotel in Rooskey after the fire in January. The Justice Minister has expressed “deep concern” about a second fire in just five weeks at a hotel earmarked for asylum seekers. Minister Charlie Flanagan TD spoke as gardaí confirmed they are now investigating the suspicious incident at the Shannon Key Hotel in Roosky. Two security guards and a foreman were in the hotel, which is on the Roscommon-Leitrim border, at the time. At around 9.45pm on Monday evening, gardai based at Carrick-on-Shannon were alerted to reports of a blaze at the hotel. It was previously targeted in a suspected arson attack just over four weeks ago. “I am deeply concerned and disappointed at the reports of the fire, which broke out in the Shannon Key West Hotel in Rooskey last night. This comes just five weeks after the previous fire at the hotel,” Mr Flanagan said. “This pattern of behaviour represents an unacceptable and worrying development and should be condemned by all. “The person or people responsible for this attack have shown a reckless disregard for the safety of human life and no respect for private property. Speaking at a press conference this afternoon, Superintendent Kevin English said the attacks “were not spontaneous”. “Shortly after 9.45pm last night Gardai in Carrick On Shannon received a call of a fire here at the Shannon Key hotel. This is the second fire here, the first one occurred on January 10 last, a little over four weeks ago,” the senior garda said. Superintendent Kevin English said gardaí do not believe a petrol bomb or firebomb was the source of the ignition. “Obviously we have taken numerous samples from inside, and they will be subject to further forensic testing to test for the presence or otherwise of accelerants,” he continued. “My appeal is for anybody who was in the immediate vicinity here at then Shannon Key West hotel between approximately 8pm and 9.45pm last night, and who may have noticed people acting suspiciously or any cars that were parked in unusual circumstances, or anybody that may have had a dashcam fitted to their car to please come forward and provide this information. Speaking about the two suspicious incidents at the hotel, Supt Kevin English said; “I’m keeping the investigations into both fires independent beyond obviously the intent to burn on both occasions. “I will try and establish the issues of commonality between both fires but it is much too early at this stage to identify what time issues of commonality may be. “To allow me to determine whether it was the same individuals who may have been responsible for the burning of this hotel on both occasions or two entirely different groups of people. Supt English said gardai would be with in consultation with the owner and leaseholder of the hotel regarding future security arrangements. He paid tribute to the local community for their help. “The suspects had to be operating in this area for a number of days,” he said. “These were not spontaneous attacks. Members of the garda technical bureau began examining the site shortly after 9am this morning after on-site security personnel discovered a fire at the Shannon Key West Hotel in the village of Rooskey at 9.15pm. 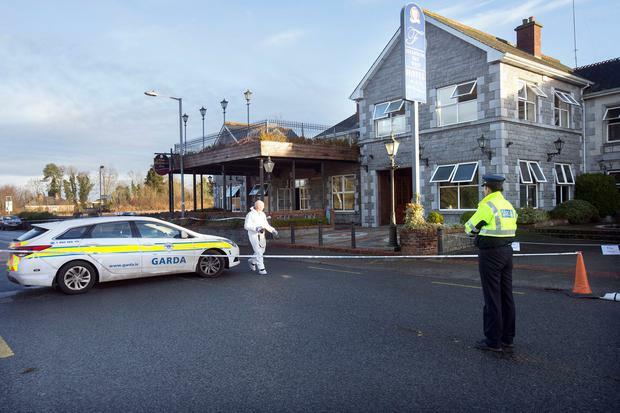 The hotel remained sealed off this morning pending the forensic examination by members of the garda technical bureau. They spent some time on a balcony above the main entrance where a window may have been broken prior to the fire being reported. They photographed the hotel inside and out with their initial focus being in the first floor and external balcony. Locals said they had seen the fire brigade from Strokestown arriving last night but they did not see flames. “It was a small fire and it was under control quickly,” said one local man. Members of the Leitrim and Roscommon United Against Racism group condemned the fire last night, describing the incident as “horrifying”. “If this is the second racist arson attack on the hotel, then there are people somewhere around who are pretty determined not to have asylum seekers come and use the hotel as a direct provision centre,” member Leah Doherty told Shannonside FM. A separate investigation is currently under way into an arson attack at the disused hotel which was earmarked as a centre for asylum seekers. Senior gardai at the time said that fire, on January 10, was being treated as suspicious and that internal damage had been caused. Last November it emerged that the hotel – which closed in 2011- was in line to become a reception centre for up to 82 refugees. A garda investigation will determine if the latest incident is suspicious. 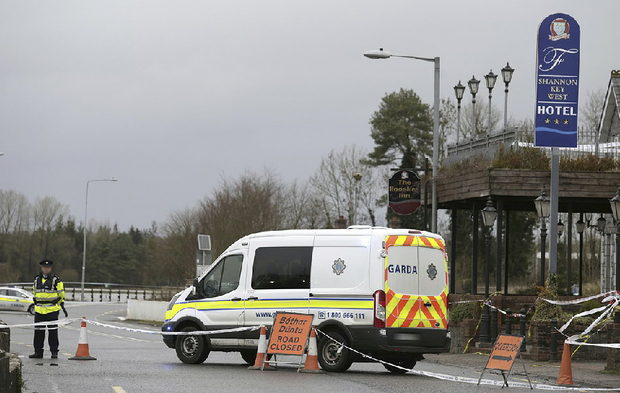 Senior officers attended the scene and a probe will be led by gardai based at Carrick-on-Shannon. Gardai are appealing for any witnesses in relation to the incident who may have been in the area between 8p.m. and 9.30p.m. on Monday night 11th February to contact Carrick-on-Shannon garda station on 071 – 9650510.